UN human rights experts have urged Egyptian authorities to ensure that all detained human rights defenders are afforded every right to due process and a fair, impartial and public trial in accordance with Egypt’s obligations under international human rights law. Amal Fathy, Shadi al-Ghazali Harb, Mohamed Ibrahim Radwan (also known as “Mohamed Oxygen”), Wael Abbas, and Haytham Mohamadein, who have worked on issues such as corruption, torture, extra-judicial killings, and women’s rights, have been in detention for the past five months. All are facing charges relating to freedom of expression and freedom of association, and three are facing charges relating to participating in terrorist organisations. 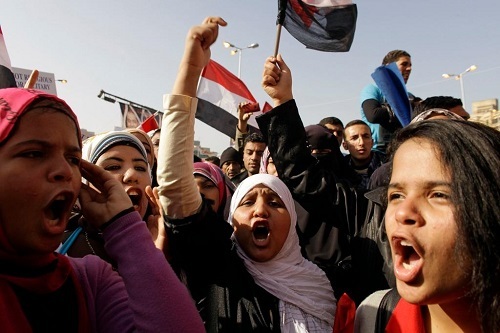 The experts voiced particular concern for Amal Fathy, who was facing charges in two separate cases relating to incitement to overthrow the regime, terrorism, and publishing fake news in relation to her efforts to promote women’s rights. She is reportedly suffering from acute stress as a result of her prolonged detention and was diagnosed with paralysis in July. On Saturday she was sentenced to two years imprisonment.